ERIC PROVIDES TIME PROVEN, STUDENT CENTERED, RESULTS ORIENTED, AFFORDABLE LESSONS. IN EXCESS OF $250,000.00 CURRENT SCHOLARSHIP AND GRANT MONEY AWARDED TO STUDENTS FROM ERIC'S STUDIO. Eric Bailey has a Master of Music Degree from Southern Methodist University and a Bachelor of Music Education Degree from Henderson State University, graduating with Honors. He is a member of the American Federation of Musicians. Eric was performing professionally at age 15, and doing studio recording session work by age 16. In college he was part of the Collegians Jazz Band that toured the Caribbean entertaining the Armed Forces for USO. Eric has directed bands in Arkansas, Missouri and at Highland Park here in Texas. He has been teaching privately since 1963. He is the author of THE ERIC BAILEY BAGPIPE METHOD published by Neil Kjos Publishing Company in their LESSONS WITH THE ARTIST SERIES. 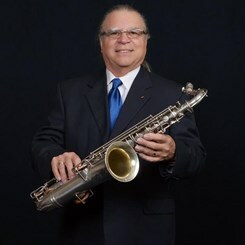 Eric has performed professionally for over 50 years and has played in Mexico, Panama, The Caribbean, Cuba and throughout the Continental USA. Representative examples of Eric's professional work include: First Call Musician, AFM. Recording Studio Call Musician, Jagger's Studio, Little Rock; Goodnight Studio, Dallas. Performances with: Bob Hope, Liberace, Carmen Lombardo, John Gary and The Three Suns. Performance under the baton of: Meredith Willson, William D. (Bill) Revelli, John Paynter, and Francis McBeth. Performances for: British Royalty (Lord Montbatten, Lord Ian McColl/founder of Mercy Ships); Van Cliburn, Douglas Fairbanks, Jr. Steve Forbes, The Gucci Brothers, Pringles of Scotland, and hundreds of weddings and funerals. Radio Broadcat Performances for: NPR, KNTU (UNT), KDBN (The Bone), and KFWR (The Ranch). Performances at: The State Fair of Texas (annually), Denton Jazz Festival (annually), National Association of Homebuilders, Readers Digest National Convention, Kraft Foods, National Convention, Dewar's Scotch North America. Request Lessons with Eric today!